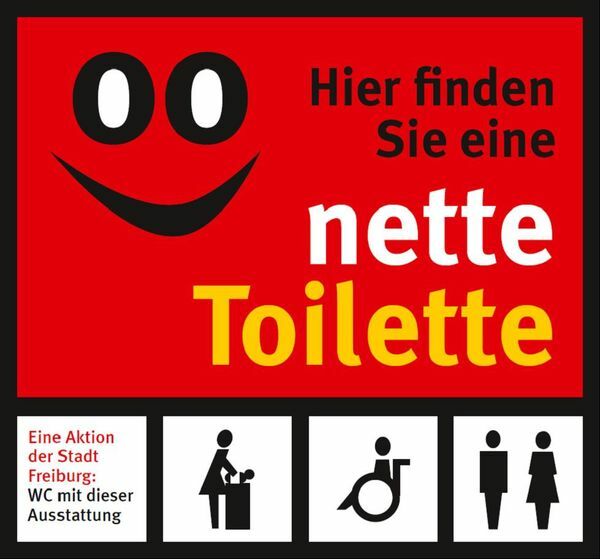 Overview of the accessible toilets in Freiburg. "Nette Toilette" (nice bathrooms) in the „Harmonie Kino & Gaststätte“ in Freiburg. "Nette Toilette" (nice bathrooms) in the "ELIZABETH" in Freiburg. "Nette Toilette" (nice bathrooms) in the "Eiscafe Venezia" in Freiburg. "Nette Toilette" (nice bathrooms) in the "Großer Meyerhof" in Freiburg. A public bathroom is located at the "Augustinerplatz" in Freiburg. 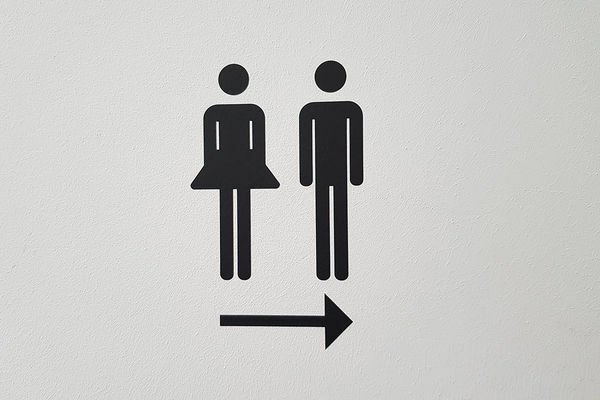 A public bathroom is located at the „Karlsplatz“ in Freiburg. A public bathroom is located at the „Münsterplatz“ in Freiburg. 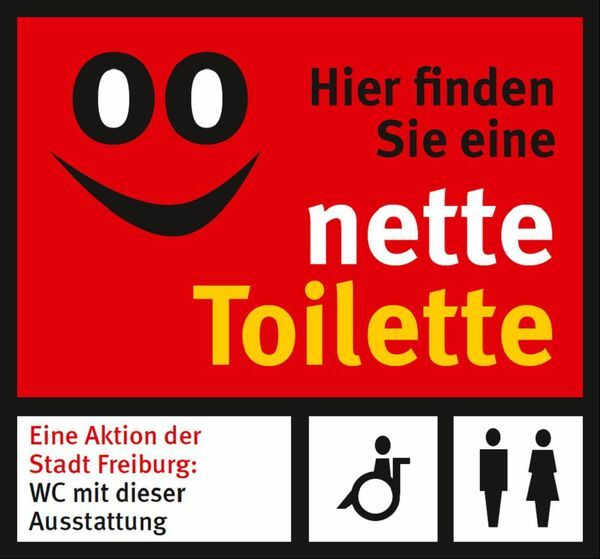 A public bathroom is located in the „Stadtgarten“ in Freiburg. A public bathroom is located in the „Turmstraße“ in Freiburg.